With that being said, this is one of those books I recommend, but with some reservations. It doesn’t normally take me two weeks to get through a book but this one was an exception. It was full of beautiful writing so I was constantly having to stop reading in order to type out a quote from the book. My GoodReads notes on this one were extensive and I have a love-hate relationship with that. I absolutely love getting hard copies of books, but sometimes the highlight feature on my Kindle is so much easier! Especially in a case like this one. 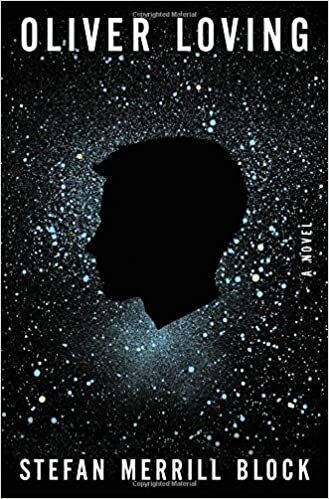 Before I give you my full review and the books synopsis, I want to say that while I recommend this book, Oliver Loving is a story that is tough to get through because it has triggers in multiple categories. If any of the following topics are troublesome for you to read, I would avoid reading this. It is wonderfully written, but I was very emotional reading this as a mother to two boys. Violence triggers because the center of the story revolves around a school shooting with multiple casualties. Assisted Suicide/When to pull the plug type triggers. Oliver has been on life support for 10 years. Should he continue to live this way, or should his family let him go? A family in crisis, a town torn apart, and the boy who holds the secret has been cocooned in a coma for ten years. One warm, West Texas November night, a shy boy named Oliver Loving joins his classmates at Bliss County Day School’s annual dance, hoping for a glimpse of the object of his unrequited affections, an enigmatic Junior named Rebekkah Sterling. But as the music plays, a troubled young man sneaks in through the school’s back door. The dire choices this man makes that evening ―and the unspoken story he carries― will tear the town of Bliss, Texas apart. Nearly ten years later, Oliver Loving still lies wordless and paralyzed at Crockett State Assisted Care Facility, the fate of his mind unclear. Orbiting the still point of Oliver’s hospital bed is a family transformed: Oliver’s mother, Eve, who keeps desperate vigil; Oliver’s brother, Charlie, who has fled for New York City only to discover he cannot escape the gravity of his shattered family; Oliver’s father, Jed, who tries to erase his memories with bourbon. And then there is Rebekkah Sterling, Oliver’s teenage love, who left Texas long ago and still refuses to speak about her own part in that tragic night. When a new medical test promises a key to unlock Oliver’s trapped mind, the town’s unanswered questions resurface with new urgency, as Oliver’s doctors and his family fight for a way for Oliver to finally communicate― and so also to tell the truth of what really happened that fateful night. A moving meditation on the transformative power of grief and love, a slyly affectionate look at the idiosyncrasies of family, and an emotionally-charged page-turner, Stefan Merill Block’s Oliver Loving is an extraordinarily original novel that ventures into the unknowable and returns with the most fundamental truths. I am going to tell you my negative comments first. As a reviewer, it is important to keep your critical thinking cap on even while reading a book you really like. This book is very emotional as I mentioned above. Because of this emotional subject matter, I wished it was about 100 pages shorter. I felt that the story definitely was drawn out and that was partly because of the poetic writing and beautiful passages which I enjoyed, but it could have been trimmed. I also was really annoyed that one of the main characters names was spelled all crazy. Rebekkah Sterling could have been named Rebeca Sterling and the story wouldn’t have been altered in the slightest. With that weird spelling I had to constantly ignore my iPhones auto correct. Stupid note, but it annoyed me. Another negative about this one is that this subject hits too close to home. Part of me didn’t want to read it only because we live in a world where these kinds of shooting events happen so frequently in real life. Why should I read about it too? I don’t want to say much more in order not to spoil any of the plot, twists or the ending. So I am going to finish up my review with a final quote from the book that applies to my life right now! “You don’t keep your sanity among the chaos of a family of boys without a good sense of order.” My blogging life is sporadic at best because of my wonderful boys, but reading and blogging are the ways I keep sane. So thank you for following along! It is fantastic to be among fellow readers and I am always happy to hear your thoughts on books that I have reviewed.